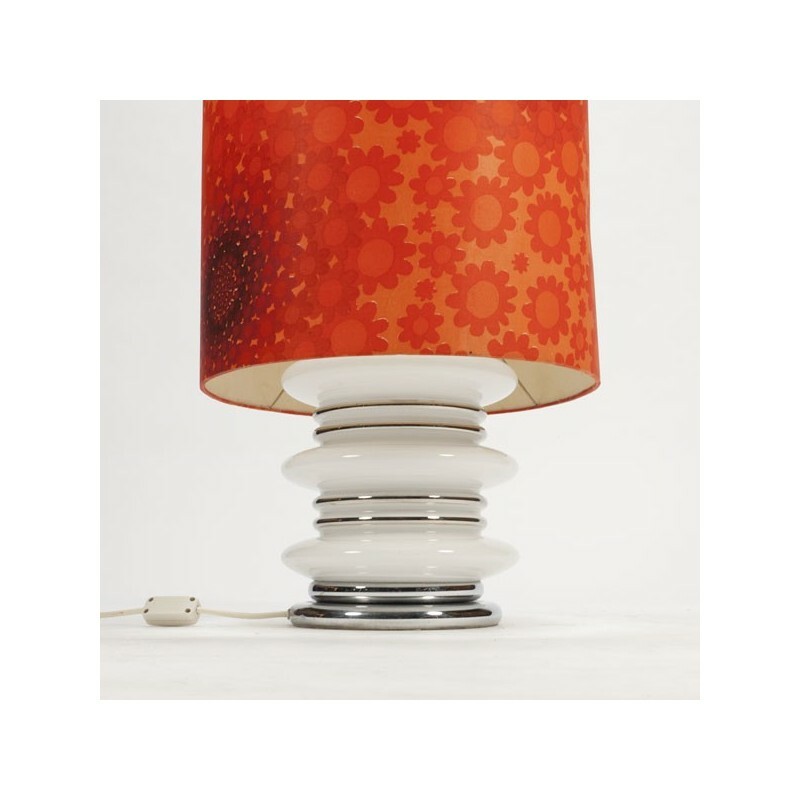 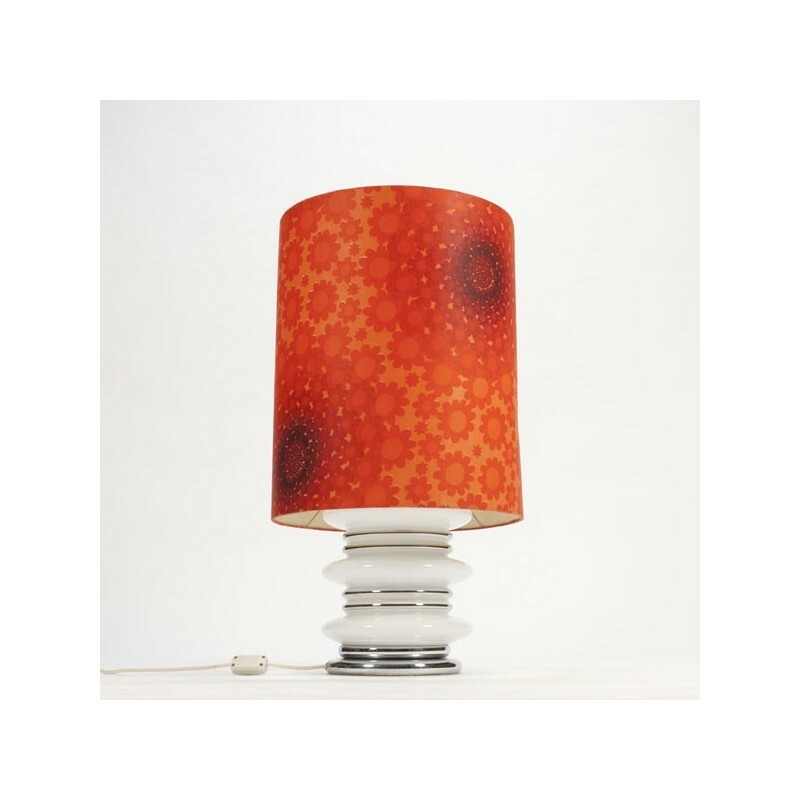 Vintage table lamp with fabric shade with floral motif and a glass base in which is also a bright spot. 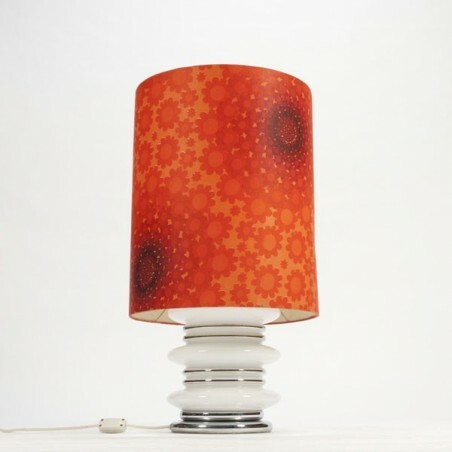 The lamp is in good condition considering its age, see the detailed pictures. The size is 74.5 cm high and the lamp shade is 41 cm in diameter.